Babe is a Portuguese civil parish in the municipality of Bragança. The population in 2011 was 238, in an area of 25.62 km². A. Pereira Lopo, writing in 1898, alludes to the greatness of the Castro of Babe, which had been an important station during the Roman era. This includes many monuments located in its shadow, including altar stone dedicated to Jupiter (with the inscription "I.O.M.") and funerary stone ("A1 e EQVITIAL (ae) II") with vestiges of three figures in low relief. It was situated on the Roman road from Braga to Castile. Remains of the Roman settlement are can be found in funerary crypts and Bronze Age implements. Popular tradition suggests that a road was built for Elizabeth of Portugal to pass through or beside the village. There is no consensus about the origin of the name Babe. Some suggest Arabic: باب‎, which means [small] door (Portuguese: portinha). Others suggest that the name originated from the Roman era. The modern parish of Babe, dates to the medieval period, when it was referred to as Sancti Petride Babi, which it would continue to remain until the 13th-century Inquirições of King Afonso III. The documents associated with the King's inventory are the first records of a parochial institution (1258), although it is likely that the local church had existed prior to these records. The church dedicated to São Pedro (Portuguese: Saint Peter), which, already on the decline, was substituted by the new Church of Santa Maria de Laviados, later to the invocation of Nossa Senhora da Conceição. The Treaty of Babe, between John I of Portugal and John of Gaunt, the Duke of Lancaster, was signed here on 26 March 1387. Babe's evolution has been affected by the population emigration and aging of the community. Situated 10.5 kilometres from the municipal seat of Bragança, Babe occupies an area accessible by the EN218, or along the EN308 from Gimonde. It is located on the southern portion of the Montesinho Natural Park (Portuguese: Parque Natural de Montesinho, a mountainous plateau along the border between Spain and northern Portugal. At an average altitude of 750 metres, it is crossed by the Igrejas River and many of its tributaries. 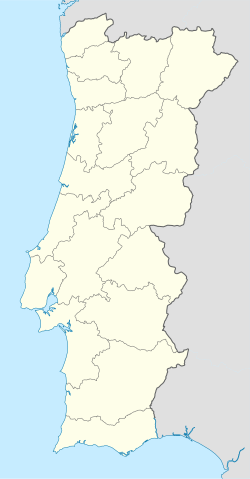 The parish is bordered by Gimonde, Palácios, Caravela, São Julião and Laviados. Fountains of Babe (Portuguese: Fontes em Babe). Chapel of São Sebastião (Portuguese: Capela de São Sebastião). The first reference to this chapel is by the rector José Alvares da Silva on 17 April 1758. Chapel of São José (Portuguese: Capela de São José), dating back to 1697 (from an inscription on the façade). ^ a b Produções Divulgação XXI, ed. (2010). "Freguesia de Babe Bragança" (in Portuguese). Vilar Formoso, Portugal: Produções Divulgação XXI. Archived from the original on 31 January 2013. Retrieved 12 May 2011. ^ Braganc@Net, ed. (2 April 1999). "Freguesia de Babe" (in Portuguese). Bragança, Portugal: Braganc@Net. Archived from the original on 11 September 2011. Retrieved 12 May 2011.